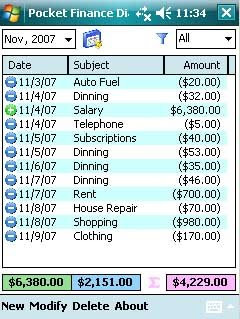 AutoKeeper helps vehicle owner track his vehicle related expenses such as fuel purchased, repair and maintenance expenses and monitor fuel cost and vehicle condition through fuel economy. It records expenses by trips, calculates fuel economy and has various bar and pie charts to help owners monitor and analyze their vehicles’ performance and efficiency. 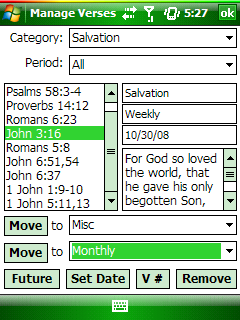 The export feature transfers the records to owners’ computer so they can view the data in Excel or other programs on PC and never lose the data. 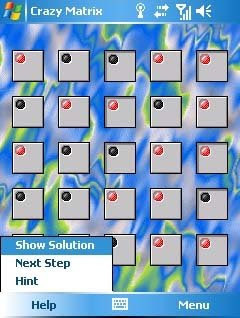 Your task in this interactive game is to get all LED's glowing together, by logically deducing the correct combination of switches. The Matrix is a system consisting of switches and LED's, which are internally connected to each other. Your task is to get all LED's glowing together. As the electronics technician hasn't left a wiring diagram, it's up to you to deduce which switches have to be activated. There's always exactly one correct solution for each case. If you know the solution state of a switch, you can lock it per Tap'n'Hold. To change the background just tap on a free area. To keep you busy, the Matrix is randomly rewired for every new game. The difficulty level is freely selectable from 4 to 25 switches. 1. A short hint, to help you figure out the next logical step on your own. 2. Display the next logical step completely. 3. The complete solution will be displayed. 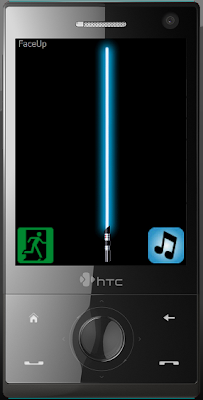 Light saber application for the HTC Touch Diamond. It uses the accelerometer to control the fighting sounds and has background music. application locks the touch screen, thereby preventing accidental call pickups or refusals. Unlocking can be done by removing or inserting the stylus from or into the device. games. Just play cards from your hand by matching color, number, or word. 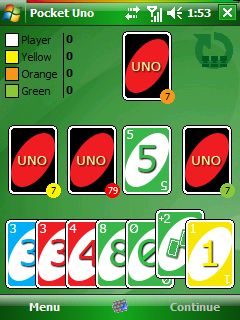 Try to rid yourself of cards before opponents do! Rules are simple but the gameplay offers hours of fun. Have you ever accidentally ignored an incoming call? Have you ever accidentally answered a call and left the caller 'talking with your pocket'? Have you ever accidentally dismissed reminders or alarms? …or 'never heard of them'? Has your phone ever freezed because of too much 'touch input'? Have you ever had programs mysteriously starting 'by themselves'? Have you ever auto-replied an email or SMS with the text 'dfjhfiv3rvp8ikk' or such? If you answered 'YES!' for any of the questions above, then this is great news for you! • Auto lock, no need to worry about locking, just turn off(sleep) your phone and feel confident. • Screen auto-unlock when out of pocket, or when light available. • Screen unlock with gestures, by moving the phone two times to the left or right. Sensitivity level is customizable. •You can combine any of the 3 unlocking mechanisms: light auto-unlock, finger slide unlock, gesture unlock. One of the three must be enabled at least. • Answer calls by gestures, or by any of the 3 unlocking mechanisms. • Vibration feedback when you unlock or when phone auto-unlocks. • Digital clock diplays the time. Digits can be customized. • Screen shows caller name or number for incoming calls. • Screen shows missed calls if any. 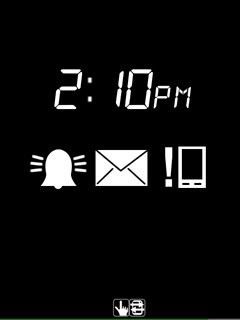 • Screen shows if a Reminder or Alarm has popped up. • Subtle but precise battery indicator. • Visible icons indicating which unlocking mechanisms are active. • Disable auto unlock with light when doing "Start-->Lock". It is re-enabled after power off and resume. Useful for when you want to have your phone locked while ON, ie while listening music. • Option(in Settings) to directly power off device when doing "Start-->Lock". • Auto unlock when stylus is taken out. For the moment, it's only available for the HTC Touch Pro (aka Raphael) and HTC Touch Diamond. Not tested on Touch Viva, Touch 3G nor Touch HD! For PocketShield to function properly, device must have an integrated light sensor and G-sensor(accelerometer). If you are a Last.fm user then this application which is currently in development could be of interest to you. Last.fm Mobile in its Pocket PC version has scrobbling and radio functionality, and the Smartphone version is limited to scrobbling from Windows Media Player - but it works perfectly. Using a unique music recommendation system known as "Audioscrobbler", Last.fm builds a detailed profile of each user's musical taste by recording details of all the songs the user listens to, either on the streamed radio stations or on the user's computer or portable music device. 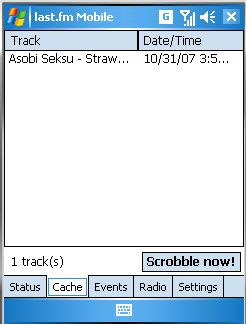 This information is transferred to Last.fm's database ("scrobbled") via a plug-in installed into the user's music player. The profile data is displayed on a personal web page. The site offers numerous social networking features and can recommend and play artists similar to the user's favourites. PocketMusic Bundle - MP3, OGG, WMA Player for Pocket PC with Winamp skins support, Playlist Organizer, Bookmark features, and more. PocketMusic Player Bundle includes PocketMusic and PocketMusic Feature Pack. AAC plugin will add support for AAC, AAC Plus, MP4, M4A files. Play your iTunes music collection on your Pocket PC! Note: AAC Plugin is sold separately. Its a two in one application, Measure Unit Converter for Pocket PC and Calculator for Pocket PC. - More than 300 measure units divided in 15 categories. - Intuitive and friendly graphical user interface. - Currency rate refresh from web service. - User defined sorting of the measure units. - Helpful information of some not so known measure units. - Operating with the clipboard. · Create multiple accounts for different types of transactions, such as credit card, cash, etc. 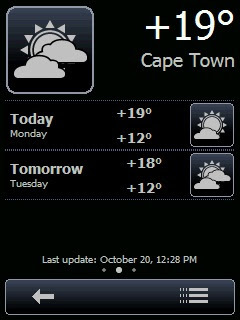 Pocket Forecast 1.2 is a weather application that supports multiple locations and is customizable. NoniGPSPlot allows you to locate your position in relation to other GPS points and to see the journey you have made. It may be used to find your starting place in a port after sailing, or the place where you start a walking or biking excursion, or even your car in a parking. Any place long as you know its GPS coordinates. If you find this tool useful, please donate to the developer. 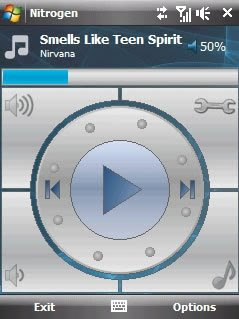 Microfi Nitrogen is a native Windows Mobile application (unmanaged code) that allows you to play MP3 songs stored on your Pocket PC device. It features a file browser, full skin support, "Shuffle" and "Repeat" modes, a built-in sleep mode and a command to blank screen to prevent energy waste while playing music. Nitrogen uses the MAD decoder, which is opensource. As the official releases of MAD for Pocket PC seem to be discontinued, Nitrogen uses the libraries from an opensource player (GSPlayer). Nitrogen was build due to the lack of finger-friendly players for Pocket PC (you have to use stylus even for simple tasks). It features large buttons and you can browse among your playlist by drawing circles on the screen (tapping in the appropriate space). In future releases the program will be expected to have an equalizer and other extensions support, but such things are still being tested to ensure stability and efficiency. interesting graphics and nice music. 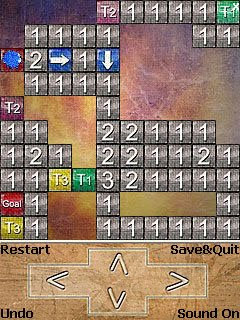 "Next Element Deluxe" is a game with levels of rising difficulty, which tries to provide all players a lot of satisfaction. This tool allows you to change the font of the device. 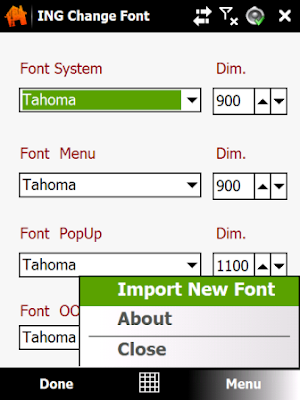 It is possible to change the size and to import new fonts. IRCy is the IRC chat client for Pocket PC. This application was designed specially for devices which have no keyboard. large files from freely available public Wi-Fi networks does not longer require a laptop: your Pocket PC is now sufficient for it! 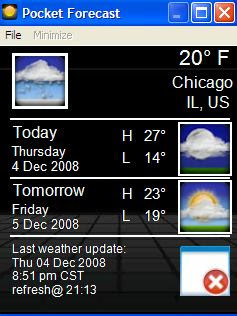 Pocket Forecast is a weather application that supports multiple locations, multiple languages, QVGA and VGA displays, cached and user defined updates, customized theme. The second generation of the ultimate Pocket PC maintenance utility comes re-loaded with features and tools to keep your mobile device and storage cards in perfect shape. 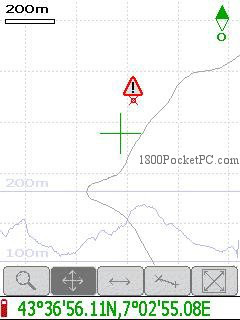 A complete rewrite of the award winning Pocket Mechanic application, the Professional version is faster, more powerful and is compatible with more devices. 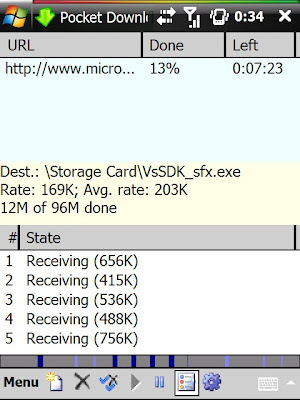 Optimize your device and storage for peak performance, clean up system junk and free up precious memory occupied by unwanted files and OS objects, maintain the system integrity and prevent possible problems, ensure your privacy and protect your investments in storage cards and mobile device hardware by using a simple and descriptive user interface yet offering robust arsenal of powerful Pocket PC maintenance tools - this is what Pocket Mechanic Professional does well. Pocket Mechanic Professional is able to completely bypass the file system drivers of Windows CE and access the files directly through our own FATFS layer - the heart of many vital modules dealing directly with the file system. The aggressive and efficient FAT and cluster caches further increase the performance of that layer resulting in an average speed up of nearly 300% in all file operations compared to the performance of the OS itself. Our defragment code is the faster than any other similar utility for the Windows CE platform. The integrated logging facilities provide ultra detailed information on what the application is doing and allow us to trace issues and improve the software virtually in hours. Developed in our labs the GFx module takes care of the rich user interface and ensures compatibility with both low-resolution and high-resolution screens, VGA, QVGA or square resolution devices and guarantees the "eye-candy" style our products are well known with. But to us look and feel is no more important than stability, quality and usability. Our engineers focused on creating a framework of tools so huge and complex it took us nearly 12 months of careful studies of the internals of the Windows CE operating system and hundreds of thousands of lines of C code to bring you this innovative product but we hope you, the end user, will not be disappointed. STQ is a best in class stock tracking program designed specifically for the Windows Mobile platform. As a result, it looks and performs the best on your Windows Mobile device. STQ is comprised of a Home Screen stockticker plugin and a main application. The plugin lets you see all essential stock information scrolling right across the Home Screen, without you lifting a finger. With the application, you effortlessly track your favorite stocks, indexes, mutual funds, exchange rates, and options, that are listed on all US, Canadian, European and Asian exchanges, through automatic updates and alerts. You will also be able to check detailed stock quotes, news and charts. Our newest STQ 3.0 release now includes support for screen rotations. It also adds several more plugin style and size options. Try STQ for free, and see why it became an instant hit. After the trial period if you choose not to buy it, keep the stockticker plugin for FREE! Call Jockey is a simple utility that allows you to quickly and discreetly simulate an incoming call. Such fake calls are useful if you want to politely excuse yourself from conversation/meeting or make somebody think you are receiving a call. Simple and convenient interface. Program is easy to understand and use. There are no complicated menus and lists, you can set a call at the touch of a button. Ability to QUICKLY schedule a simulated call. There is no need to manually enter call time every time you want to simulate a call. Just open Quick Call menu and select the time required! Ability to define a call at specified time.If it necessary you can also enter the required call time manually for the nearest 24 hours. Standard call playback. Call Jockey plays standard system ring as it defined in your Profile and Sound settings. Ability to define caller name and phone number. Just enter the required name and phone number in Options dialog and they appear on the call screen. Multilingual support. English, German and Italian languages are supported now! Call Jockey automatically detects your regional settings and activates appropriate language. Color theme selection, automatic keypad unlock and configurable ring duration make Call Jockey more convenient and friendly! Call Jockey can be used as an alarm-clock or as an alerts generating tool, however we recommend to use our full-function alarm-clock and alarm management tools: CT AlarmClock and Alarm Master for such purposes. Comic Reader is an application for viewing comic strips on the mobile device. - Portrait/Landscape mode in Full screen. - Opens zip/cbz and rar/cbr files. - Remembers what comic and page you were on. - "Next Comic" option opens the next zip in the directory, so you don't have to remember which one your on. 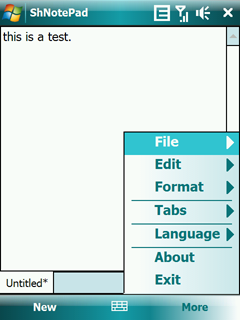 - "Manga" when changing pages, automatically starts at the right of the page. - Can associate with cbz/cbr and zip/rar files. - Double click to go full screen. o Up: Load Previous comic. o Down: Load Next comic. BlueStarter is a Windows Mobile tool to automatically start an application when a configured Bluetooth device is discovered. ShNotePad is a completely UNICODE compatible text editor that works with any UNICODE compatible input method. You can create, open, edit and save text files that have a mixture of Farsi/English characters. 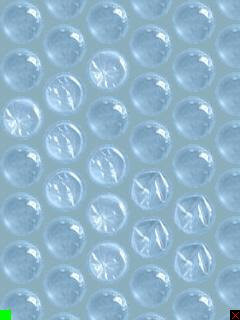 Do you remember when you used to pop bubble wrap as a kid? It was fun. And guess what, it still is. You can go back to your childhood and release some stress. Press small green square to refresh bubbles and red cross to close the application. · Lense Mode! click on any part of the page and it'll show a zoomed in section of that area. · Autosizing lense: Lense will try to fit to the text, so its almost always the right size! · Touch Pro features extra commands Doubletap right panel, left panel, or action button. Use the wheel to scroll. 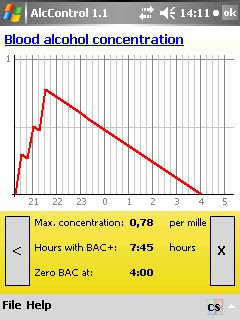 AlcControl is an utility for calculating your Blood Alcohol Concentration (BAC) on your PDA. You can input 12 drinks in timetable and calculate BAC graph, max. concentration and zero BAC time. S2U2 (Slide 2 Unlock 2) is a simple lock/unlock application which has the iPhone style slide unlocking. It can be used as a screensaver while you don't use your device. And it's has CallerID function (but it may not work on some devices, so please try it first); S2P control plugin; and volume control. Turn your Pocket PC into a virtual notepad! No notes-folder searches anymore! Browse your notes. Sheet by sheet. Like you would do it with a real notepad! Shoppinglists, meetingnotes oder a phonenumber during a walk...everthing is no problem! From now on, no keypad usage necessary! Use your handwriting! MASPware HandNotes simulates a real notepad, starting from appearance to handling. Now its possible to use and administration handwritten notes quick and easy. Edit and Tweak your Pocket PC with a full featured Registry Editor. Packed with several fully documented tweaks NeoRegEdit leaves the competition behind. If you can use Windows® registry editor then this is the product for you. • Several Fully Documented tweaks so you know what is changing on you device. your picture to BMP-file. It was written in an couple of hours just to test .NET Compact Framework v2.0 capabilities. 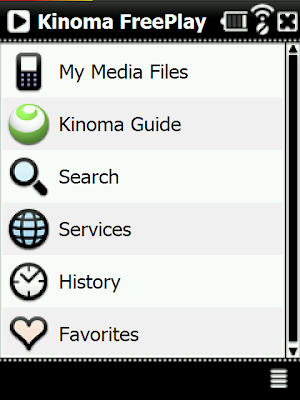 More than just a player, Kinoma FreePlay is all you need to enjoy video, audio and pictures on your phone, on the web, and from your home PC. Music. YouTube. Podcasts. Videos. Pictures. Audiobooks. Streaming radio. Play more. Without Kinoma Play, your smartphone is just a phone. With Kinoma Play, it’s a mobile media powerhouse. Nothing else makes it so easy to find and play video, audio and pictures. differences, timespans, average values and min-max-values using an internal or external GPS receiver. Whether measuring you golf drives or the route length to you work, everythings no problem! Precision-Algorithm to evaluate precision values of the GPS receiver (Dilution of precision values). So MASPware GPSmeter only uses high precision dataset values. Additionaly, you can use expert precision settings, to enforce needed precision! Broadcast SMS to multiple recipients and send Birthday Greeting messages effortlessly and efficiently. impressive experience in staying in touch with your customers. Today Screen plug-in showing favorites and recent callers, fast Photo Dialing integrated with Business and Full screen Photo Caller ID and advanced contact management capabilities. Phone Profiles let you group and customize Call Filtering, Ringtone, SMS tone, sound volume and ring type settings and use them manually or automatically. Photo Contacts PRO lets you speed dial and send quick SMS messages by simply tapping on a photograph - especially useful when you need to concentrate on other things!